Last month, Micron released a solid state drive designed for consumers. Called "1300," it used the SATA interface, meaning it was slower than the much faster NVMe drives many enthusiasts crave these days. Offered in both 2.5 inch and M.2 form factors, it would make a good drop-in for consumers looking to upgrade. 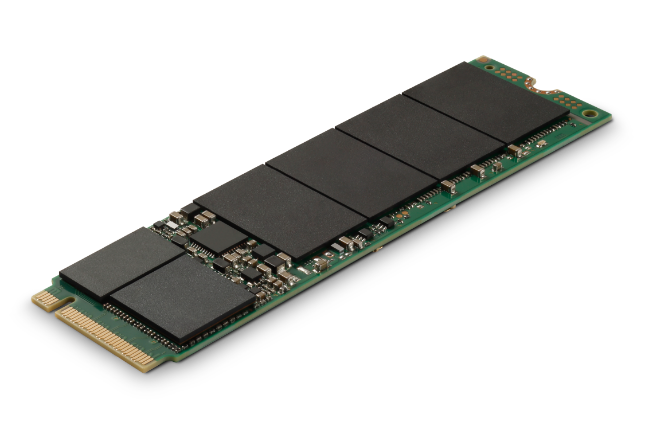 Today, Micron unveils yet another SSD, but this time, it uses the speedy NVMe interface. The "2200," as it is called, will mostly be sold to computer manufacturers, but it could show up for direct retail for end-users too. It can be had in your choice of three capacities -- 256GB, 512GB, and 1TB. You can also opt for self-encrypting variants if that is important to you. And yes, it will work in NVMe enclosures, such as this excellent one from Plugable. "The drive’s small size and compact M.2 form factor supports OEMs by allowing them to design sleek and lightweight client devices. The 2200 SSD delivers up to 1TB high-capacity flash storage, enabling users to store large files, images and multimedia assets. Further, its self-governing power feature improves battery life with lower power states that are up to 98 percent more power efficient than HDDs, extending device battery life and user productivity.1 In addition, the host-controlled thermal management (HCTM) reduces the drive's operating temperature to protect other system components," says Micron. 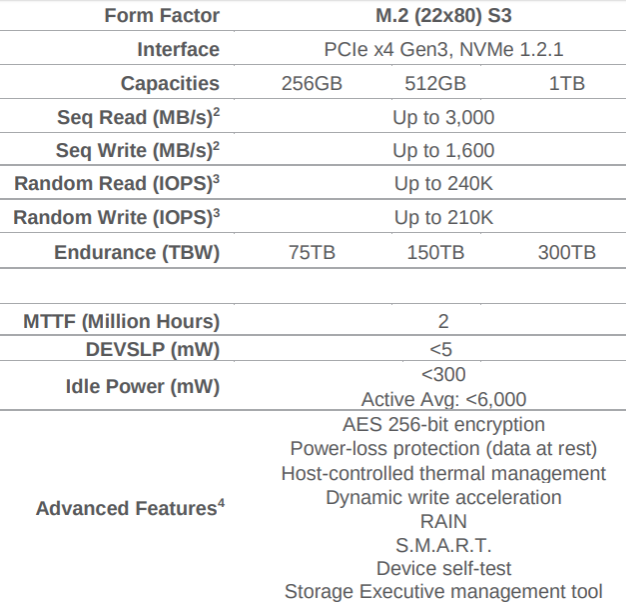 The company further says, "Delivering up to 3GB/second sequential reads, 1.6GB/second sequential writes, 240,000 inputs/outputs (IOPS) random reads, and 210,000 IOPS random writes, the Micron 2200 SSD accelerates workloads such as video streaming and editing. It features dynamic write acceleration that enables burst data writes, offering the highest performance possible without decreasing user capacity." Micron shares the following specifications. Roger Peene, vice president of product planning and strategy for Micron’s Storage Business Unit offers the following statement. By the end of 2020, over 65 percent of the client PC market is projected to transition to NVMe SSDs, with rapidly increasing average device capacities. The Micron 2200 PCIe NVMe SSD accelerates the adoption of SSDs by addressing the storage-intensive workloads in client computing that demand performance at compelling prices. Unfortunately, pricing is unknown for now, but according to Micron, original equipment manufacturers can begin purchasing them today. Cost will vary based on quantity of course. When (and if) they will hit stores like Newegg or Amazon is not yet known.